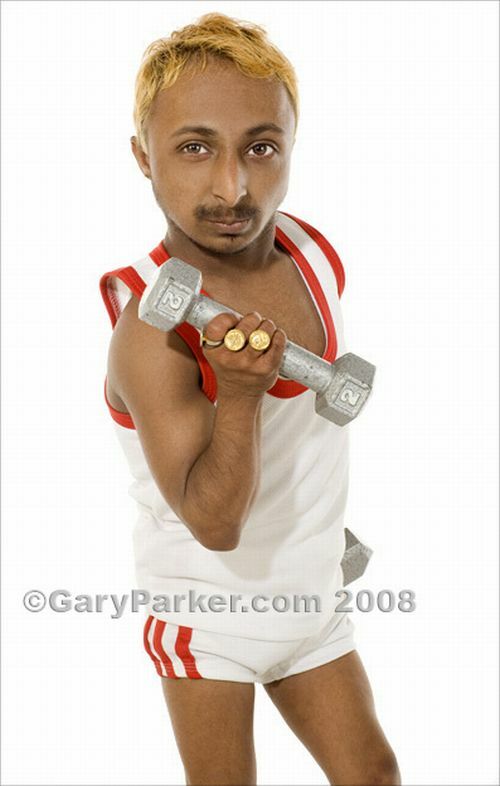 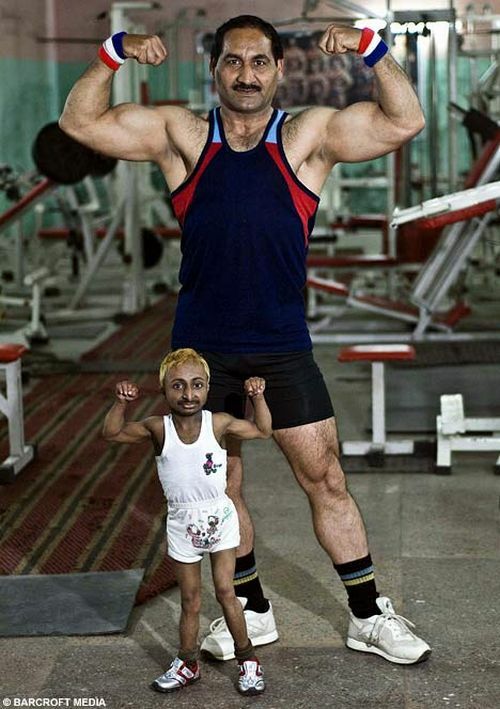 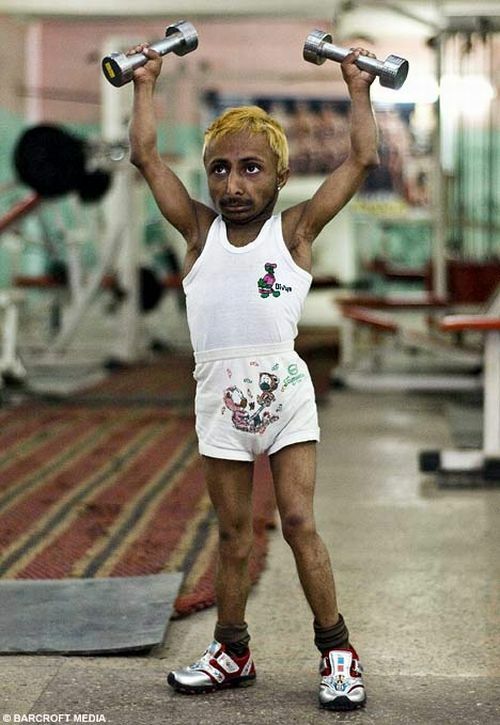 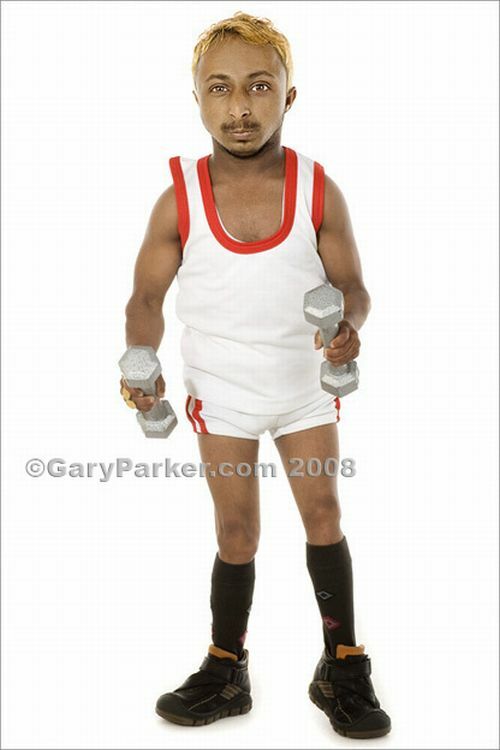 Aditya 'Romeo' Dev is a body builder with dwarfism . 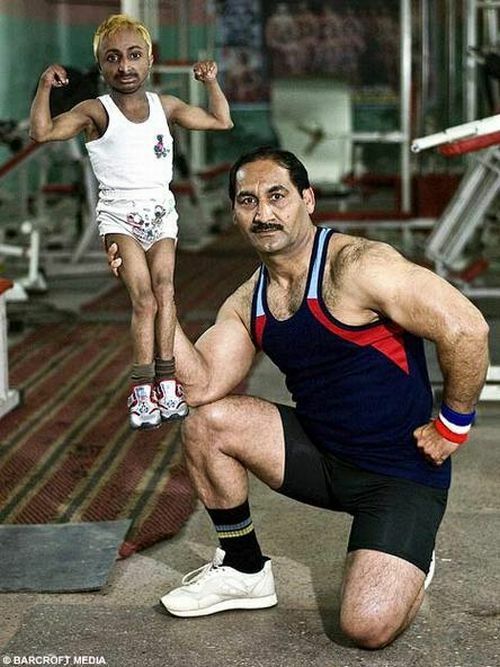 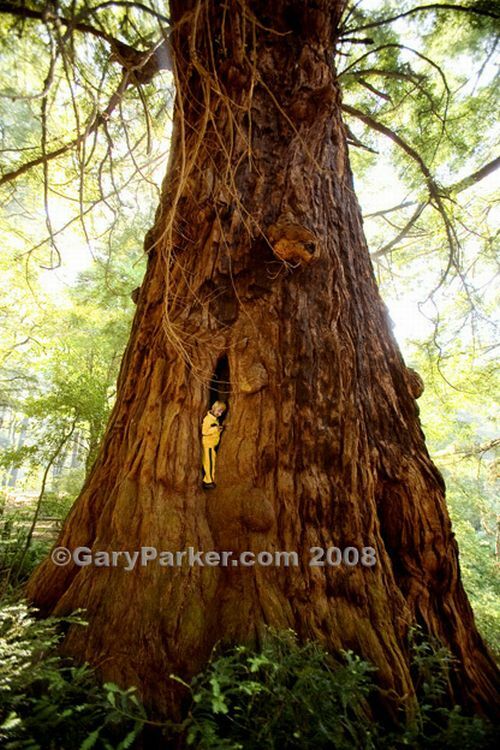 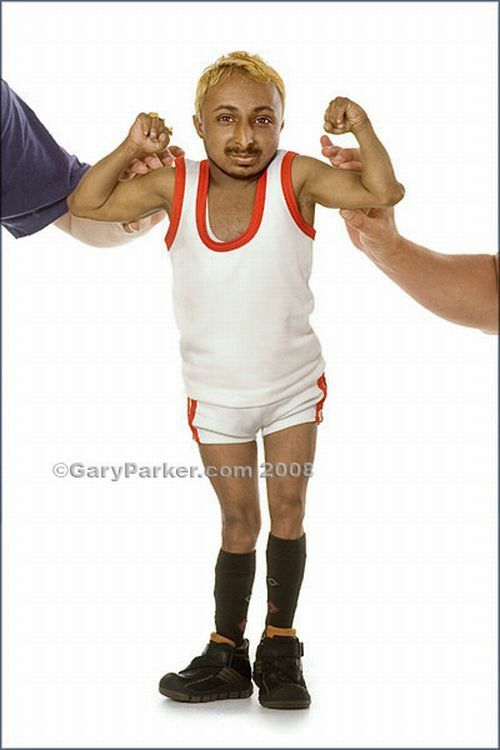 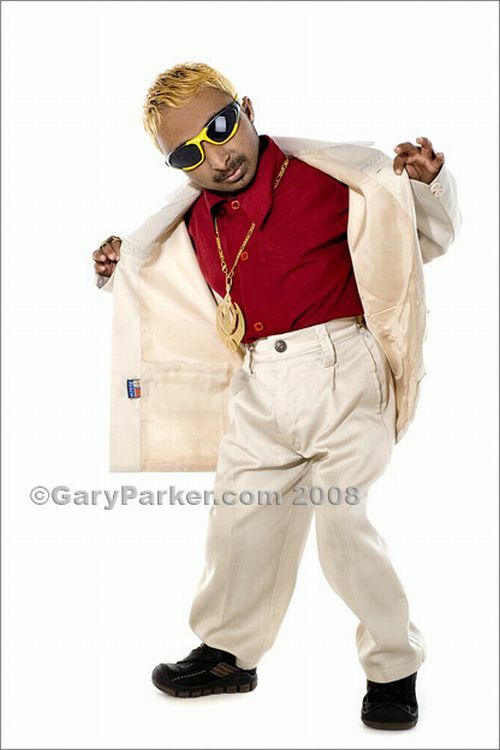 In 2006 the Guinness World Records recognized him to be the "world's smallest bodybuilder". 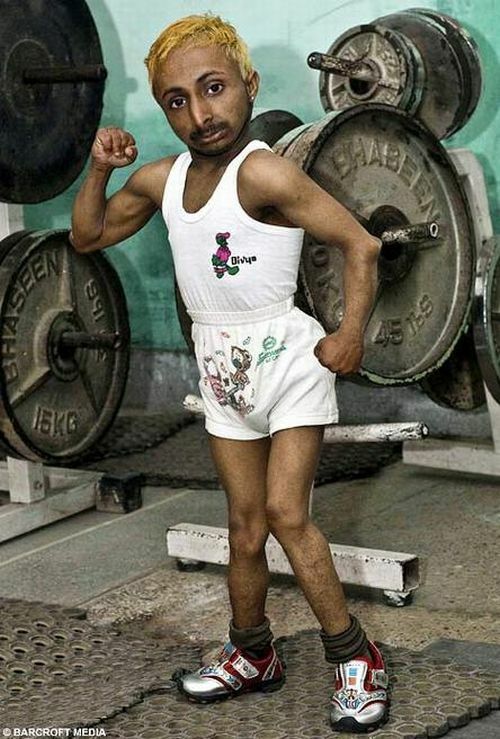 Unlike many little people Romeo is well proportioned. 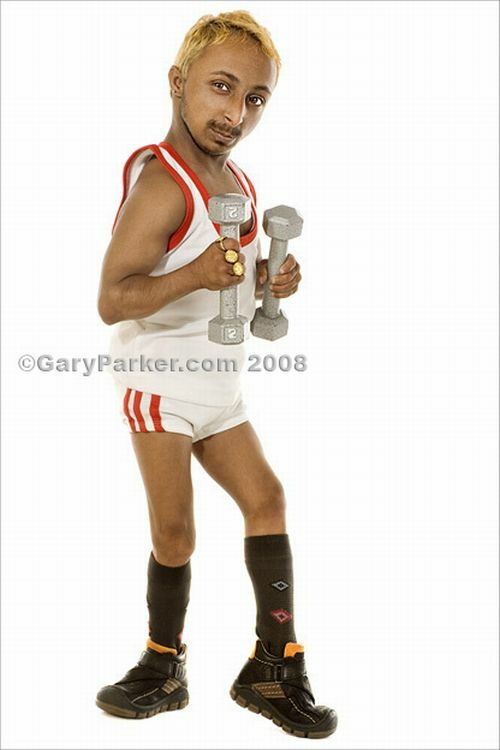 He maintains his toned body by putting in long hours with his trainer Ranjeet Pal.